Happy New Year everyone! Well, the play is done (a great success - thank you for your support) and Christmas is packed away for another year. I guess it's time to get back to work. Let's see what's in the annals of tomorrow's history... the news! Ah! It appears that Will Smith is angry that an interviewer from a Scottish newspaper has misinterpreted his comments about Hitler. Now the Jewish Defense League wants Will's head on a platter because they think Will thinks Hitler was "basically a good person." Okay, even though I'm at a loss as to why he chose that particular example (citing Hitler in any context usually backfires) I do get his point. No one considered evil, throughout history, woke up in the morning and said to themselves, "What's the most evil thing I can do today?" That comic-book, Hollywood image of the evil-mastermind is just that... comic book. Even your garden variety psychopath fails to see the evil in their actions - their capacity to regard issues and events in terms of Good and Evil is impaired. As Smith put it "using a twisted, backwards logic, he (Hitler) set out to do what he thought was 'good'." (italics and bold mine) This doesn't mean Will Smith thinks Hitler was a good person! It means Will Smith thinks that Hitler was of the opinion he was doing what was best for Germany, which he was! And history tells us that Hitler wasn't alone; many Germans were afraid the Communists would take over their country if not opposed by the Nazis. They hoped that Hitler would bring a spiritual renewal to germany because he talked about their history and traditions. That's right, a spiritual renewal! You see, included in that large number of Germans were many church members; Lutherans, Reformed and United. In fact, one Lutheran minister even said that Hitler's rise to power was a gift of mercy from God's hand. A movement took fire to nationalize the church under a single bishop. It wasn't a new idea. Many in Europe , while still dedicated to the Reformation's ideals, lamented the fact that the church was divided. They desired to see Protestant churches united under a single banner, and in May of 1933, this was accomplished when the constitution of the Unified National Church was brought down, with delegates to the formation conference electing Ludwig Müller, a stanch member of the Nazi party, to be it's first Reichsbischof (“imperial bishop”). The churches constitution placed two significant restrictions on the clergy: (1) A clergyman must be politically reliable and (2) a clergyman must accept the superiority of the Aryan race. Hundreds of clergy accepted these demands. A small group of church leaders did not, insisting that the church must obey Christ alone, free from political influence. 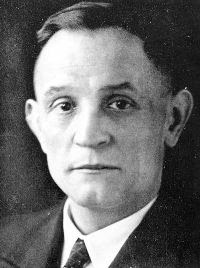 Under the leadership of one Martin Niemoeller (pictured), they quickly formed the Pastors Emergency League (PEL) and sent out a letter to all German church leaders inviting them to join in their opposition to the Unified National Church. In a number of letters Niemoeller asked the countries Christian leaders to pledge themselves to the supremacy of the Holy Scriptures and to the old confessions of faith. He openly declared the 'cult of Aryan-ism', with its claim of racial superiority, to be in direct violation of Reformed and Christian teaching. Among those who answered Niemoeller's call were two men whose names loom large in the annals of church history and theology - Karl Barth and Dietrich Bonhoeffer. Barth was already world famous for a commentary he wrote on the New Testament book of Romans. ('World-famous' for writing a commentary - imagine.) In late 1933 he wrote two significant papers: a refutation of Unified Church doctrines, and 'Fundamentals' which opposed the teachings of the so-called German Christians, an organized collection of Nazi-supporting theologians and scholars who formed the bulk of the delegates to the conference that established the Unified National Church. In these publications Barth demonstrated the errors that existed in Unified theology and pointed out that the basis for most of their wrong-headed thinking was the assertion being Aryan equated with being Christian, and that German history and politics were equal in importance to the weight of Scripture. So complete were Barth's arguments that shortly after they were published many of the pastors that originally signed on to the Unified Church resigned and joined the PEL. This of course did not sit well with the Reich-bishop. As Barth, Bonhoeffer, and Niemoeller continued to point out the errors of the Nazis on the spiritual level, and the debate between the two sides increased, there was a real fear that people would start to question other Nazi policies as well. So in January of 1934, Müller issued a decree which, on the surface, sounded like reasonable advice. The decree stated that in order to restore order to the German Evangelical Church, clergy were instructed to preach only "the pure gospel" from their pulpits on Sundays, and to avoid discussion of politics and other "matters of controversy." The decree soon became known as "The Muzzling Order." The Unified Church's purpose was revealed, to give the government control of the church in Germany. Meanwhile, on that very same day, in Barmen, three hundred and twenty elders and ministers were gathered, calling themselves the First Free Reformed Synod. They accepted Karl Barth's "Declaration on the Correct Understanding of the Reformation Confessions in the Evangelical Church" and openly declared that "faithful ministers" could not refuse to preach in the realm of politics "when politics violated the deepest principles of faith." After more meetings, in the spring of 1934, the 'dissidents' formed the Bekennende Kirche, the Confessing Church, a coalition of Lutheran, Reformed and United ministers. Taking their name from the Church's great historical Confessions of Faith, they regarded themselves the "legal Protestant church of Germany" and issued the Barmen Declaration, a copy of which Barth mailed to Hitler directly, rejecting the errors of the Nazi-controlled Unified Church. The Nazis launched a major campaign of persecution against the Confessing Church. As the wave of enthusiasm for the Aryan Nation swept over Germany, the Confessing Church soon stood all but alone against the Nazi lies during the terrible years of the Third Reich. As is often the case the leaders of the group paid a high price for their boldness. Niemoeller went to prison. Bonhoeffer was hanged. Barth managed to return to his native Switzerland where he drew the world's attention to the spiritual struggle in Germany. The day on which both "The Muzzling Order" was issued, and the First Free Reformed Synod was held, leading to the formation of the Confessing Church, was January 4th, 1934 - 73 years ago this week. 1. "Confessing Church." Encyclopædia Britannica. 2008. Encyclopædia Britannica Online. <http://www.britannica.com/eb/article-9025825>. January 1, 1863: American President Abraham Lincoln frees all slaves in Confederate states by issuing the Emancipation Proclamation. Churches throughout the North held candlelight vigils commemorating the event. January 3, 1840: Joseph de Veuster, who, as Roman Catholic Missionary Father Damien gave his life ministering to lepers in Hawaii, is born in Tremelo, Belgium. January 5, 1066: Edward the Confessor, the only English king ever canonized a saint by the Roman Catholic Church, dies. Builder of Westminster Abbey, he was buried there January 6. January 6, 548: The Jerusalem church observes Christmas on this date for the last time as the Western church moves to celebrating the birth of Jesus on December 25. I enjoyed this post. I knew of Bonhoeffer's persecution and death -- but I was unaware of the circumstances. You have enlightened me. Thank you. Hi, I enjoyed this post. Thanks for sharing. Another good one! Important also as some like to claim Hitler was a Christian! They misuse his writings to back up their theory, a theory they use to attack Christianity. Finally a good one!, for hours I have been looking and reading other articles about Opposing the Unified Church. 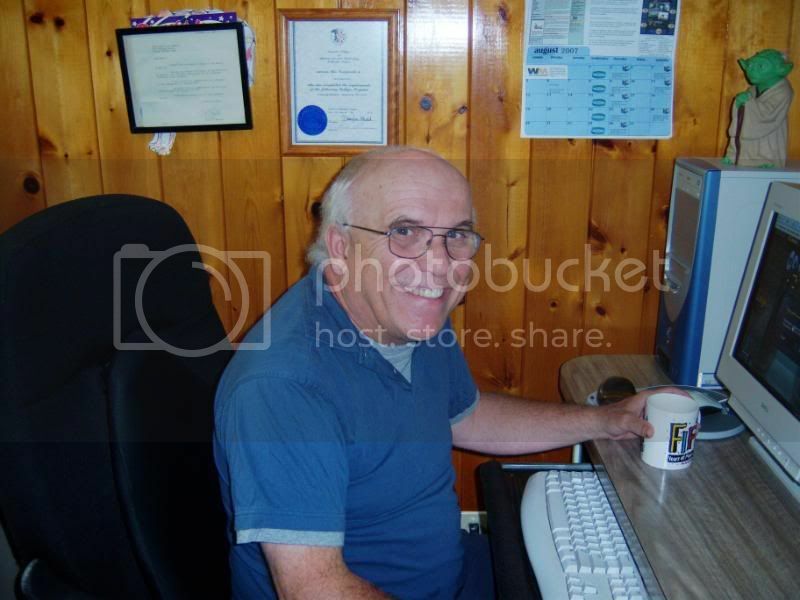 By the way what a bunch of buy viagra blogs related are in the web!, just amazing. But back to topic, yours by far has the most interesting, accurate and useful information. More than "Mere Learned Labour"